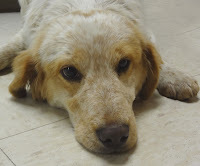 Male Red Heeler mix, found on Cardinal Avenue, Neillsville, with two other dogs. He has a medium-haired coat that is red and white with a fluffy tail. He's also a friendly and sweet guy. Female Yellow Lab/Red Heeler mix, found on Cardinal Avenue, Neillsville, with two other dogs. She has a short-haired tan coat with some white spots, and is a nice girl. Short-haired Dilute Calico cat, young female, found on W 6th Street, Marshfield. 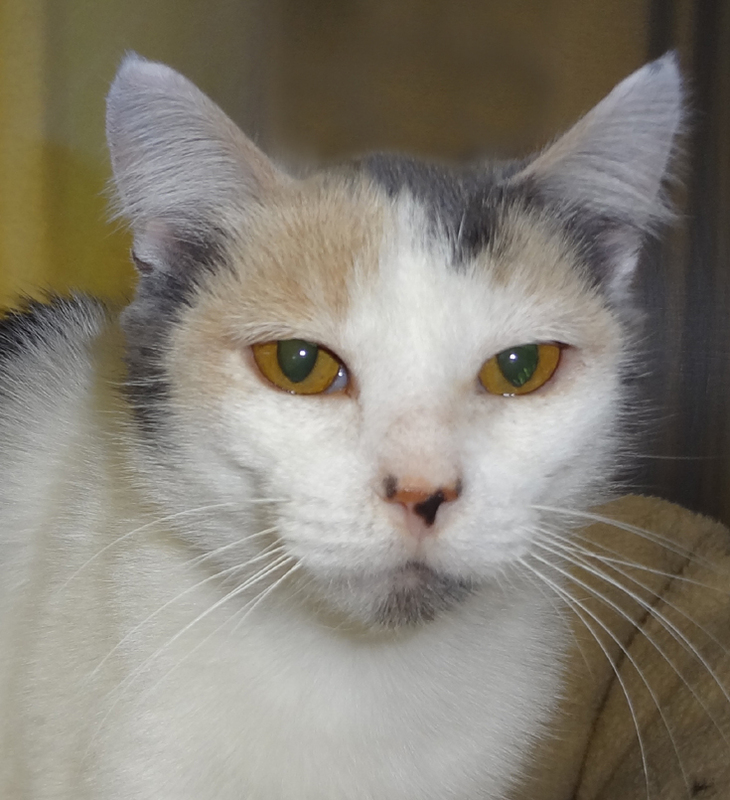 She's very sweet and affectionate but would like to go back home. 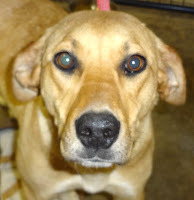 Yellow Lab, male, found on 1st Avenue, Spencer, Township of Unity. 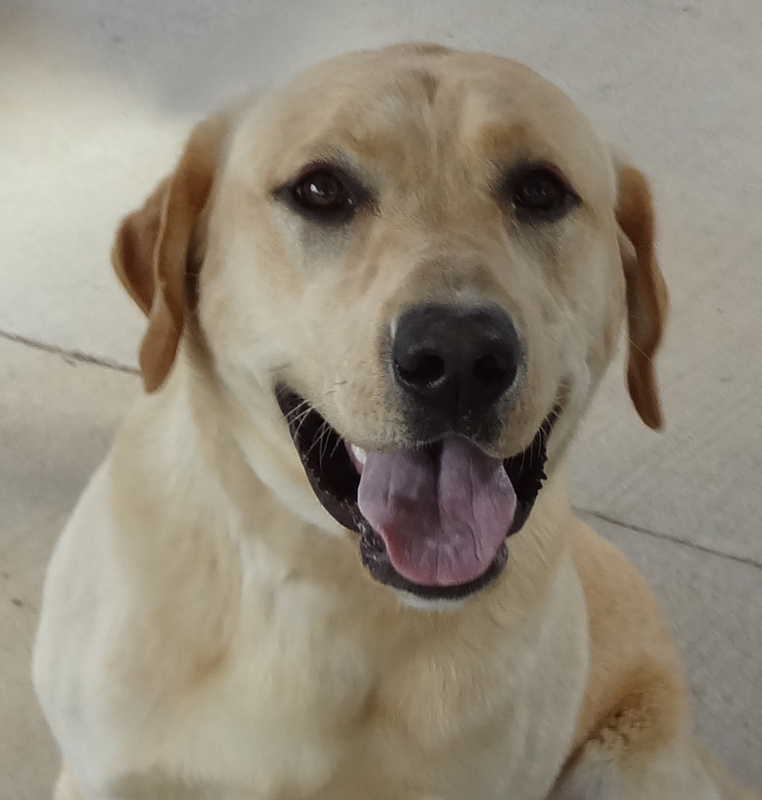 He has a short-hair yellow coat and is a happy and active dog. 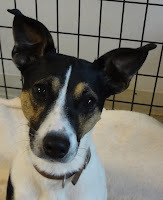 Terrier Mix, male, with a short-haired coat that's mostly white with black and tan. He was found on Highway 73 and Pelsdorf Avenue, Washburn Township. He is very friendly with really big ears!